Regardless of experience, it’s something that every athlete will experience. In other words, whether you are an amateur or professional, there will be days where muscle fatigue after a workout just gets the better of you. Most of us will be susceptible to soreness and stiffness and in short, even the most basic of movements prove extremely difficult to carry out. Fortunately, muscle fatigue is something that is within your control. Sure, if you have just put yourself through a marathon or another form of extremely strenuous activity, you will most likely feel the effects in the morning. However, in terms of basic sessions, there are several ways to avoid muscle fatigue and subsequently continue to make progress with your training. Let’s take a look at some of them. 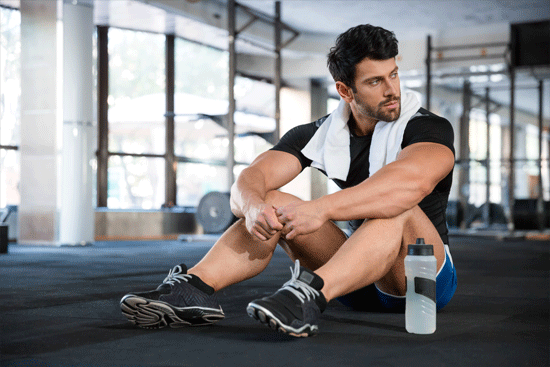 As is the case with most of the suggestions through this page, one of the best things you can do occurs long before your workout has concluded. 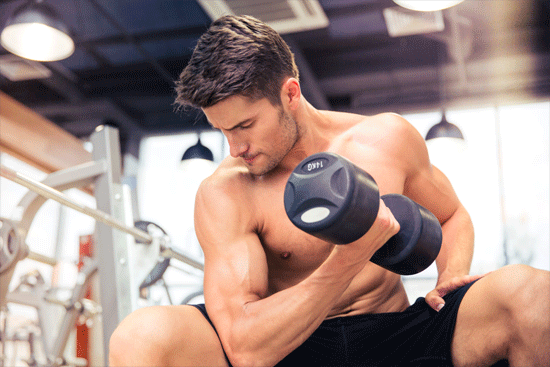 If you take a look around the gym, you’ll see countless guys slogging away on the free weights and machines – but many of them have absolutely terrible form. Not only is this going to hinder the progress you make, as well as making it much more likely for you to suffer an injury, but it can also cause muscle imbalances. In turn, all of the above will mean that your workout is just no longer efficient. The upshot of this is that your body will be expending much more energy to achieve the movement and suffice to say, it’s this sort of process that results in a lot of pain the next morning. If you can stick to the correct positions during your session, you will be amazed at just how much better you’ll feel the next day. It doesn’t matter which training manual you pick up, all of the best will talk about the importance of warming up and cooling down. Despite this, an alarming number of people just don’t bother with these two stages of their session. We’re not going to speculate about all of the reasons why, but most of the time it’s due to a lack of time or more worryingly, because they think it’s not “really” important. Well, suffice to say, it certainly is important 1. Even spending just five to ten minutes before and after your session is sufficient to quash muscle fatigue and make it barely noticeable the next day. On a similar note, let’s talk about the rest period between exercises. In all honesty, most of us need these rest periods – at least we do if we are pushing our body enough. 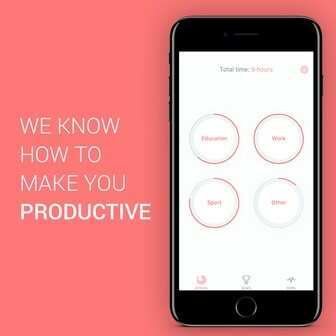 However, if you are one of the select few who attempts to cut down the rest period to just a few seconds, it’s time to have a rethink about your strategy. This is the period where your muscles start to recover and if you starve them of this, you are asking for trouble the next morning. Likewise, it’s not all about rest between exercises. Rest between gym sessions is crucial as well and while it might feel productive as you visit every day, in actual fact you’ll probably be doing more harm than good. Your muscles need some “down time”, which is the period where they start to repair and ultimately, develop. Without this, you will just keep grinding them down and asking for the fatigue that occurs the next day. Ok, so it’s something of a cliché, but countless studies have proven over the years that nutrition has a direct impact on potential muscle fatigue the next day as well. In simple terms, your diet just needs to be balanced. However, for those of you who exercise regularly, it’s time to drill down into your carbohydrate intake. The general rule for an aerobic athlete is that they should be consuming up to 60% of their calories as carbs, whilst for anaerobic athletes this can drop to a maximum of 35%. By taking the above into account, you can ensure that your muscle’s glycogen levels are kept intact during exercise, as the depletion of these often results in the dreaded fatigue we have been speaking about. As well as the carbs, just ensure that the usual suspects like complex proteins 2, veg and fruit is all in there to keep things ticking over. On a similar note, you’ve got to ensure that you eat at the right times as well. The general advice is to ensure that you eat a snack, or even a light meal, a couple of hours before working out. This first meal will provide you with the necessary fuel, while you should then proceed to eat something within one hour of concluding your workout. This second meal is crucial and will ensure that your muscles are provided with the appropriate fuel to repair and develop. Needless to say, taking the above into account you should ensure that you don’t eat a huge meal before working out. This isn’t going to make your session productive in the slightest – it will probably make you nauseous if nothing else. Let’s conclude with a piece of advice that seems to be associated with a lot of fitness guides (and for good reason) – you simply have to consume plenty of water if you care about avoiding muscle fatigue. 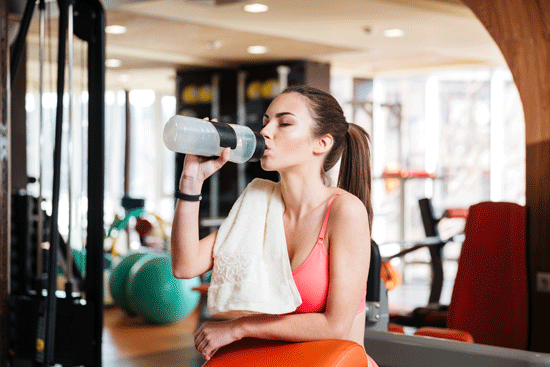 We’re not just talking about the workout itself either; this water consumption must occur through the day in a bid to stop your body from becoming dehydrated. If you are dehydrated, you will suffer electrolyte loss which in turn causes the fatigue. In terms of specific advice, at least 10-12 glasses of water are required in any standard day. Once you start your session, this advice then expands to about 1.5L of a sports drink every hour. The importance of turning to a sports drink should not be understated; by doing this you will be able to replace all of the nutrients, as well as the water, that will have been lost through sweating. The importance of warming up before a workout (Bodybuilding.com) How Important Is Warming Up? Proteins and muscle recovery (National Institutes of Health) Effects of protein supplements on muscle damage, soreness and recovery of muscle function and physical performance: a systematic review.